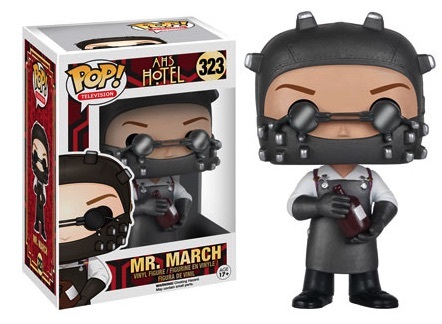 Documenting the fifth season of the AHS series, 2016 Funko Pop American Horror Story Hotel vinyl figures take a look at the creepy show with several options. 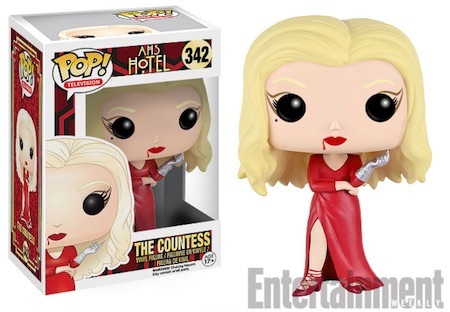 Centered around Hotel Cortez in California, which is run by Lady Gaga as The Countess, American Horror Story: Hotel focuses on the wild and unexpected outcomes that have come to typify the franchise. 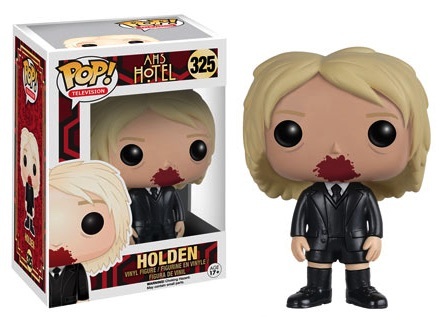 Shop for Funko Pop American Horror Story Figures on eBay. 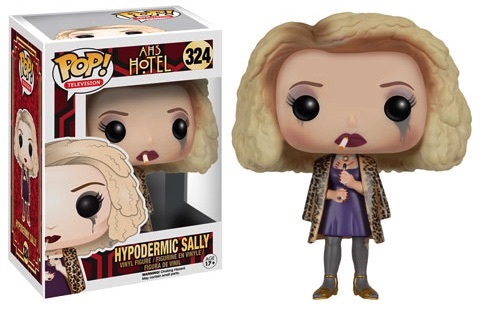 Although rather limited in terms of the choices, Funko Pop American Horror Story: Hotel includes Sarah Paulson as Hypodermic Sally (aka Sally McKenna), Evan Peters as Mr. March (aka James March) — complete with his mask — and the blood-sucking child Holden. 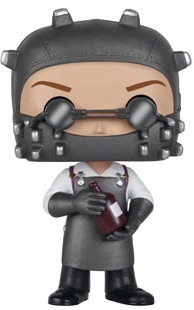 Even Lady Gaga gets in on the Pop! action as The Countess. 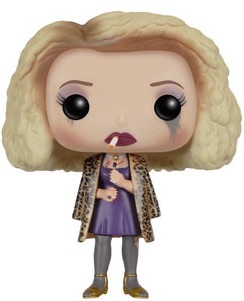 The AHS Hotel vinyl figures are numbered as part of the Pop! Television line and each figure is approximately 3 3/4" tall. Earlier figures have been issued for several of the other seasons of American Horror Story, including Freak Show.